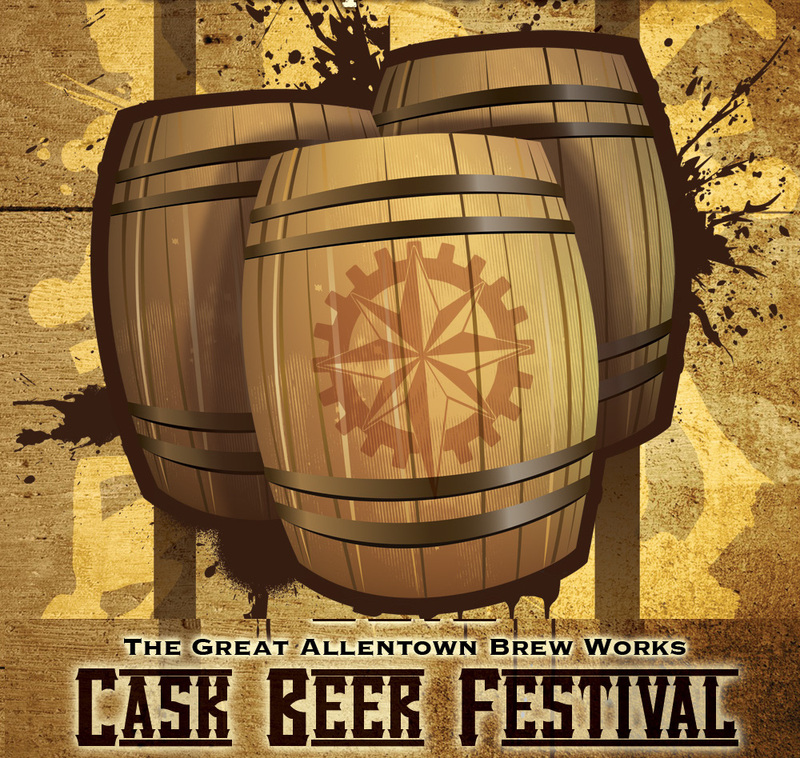 The always-stellar Brew Works Cask Beer Festival is returning to the Allentown Brew Works on Saturday, March 15th. The day consists of three hours of sampling over 32 brews, food, and entertainment. Several local breweries will be in attendance pouring casks and special one-off beers for everyone. The list so far includes casks from Beau Biden at the Allentown Brew Works, Josh Bushey at the Bethlehem Brew Works, a special Jersey Devil barred aged cask mead from Colony Meadery (as well as their regular offerings of Mo-Me-Doh [mojito mead] and Woofiedog [a hopped mead]), Citrus IPA and Efflorescence saison from the new Funk Brewery in Emmaus, an IPA and Onyx Black Forest Stout from Golden Avalanche Brewing in Kutztown, and Camelopardalis (an experimental Belgian tripel/triple IPA) from Weyerbacher. Food for the event includes soda bread, root veggies, shepherd’s pie, and potato leek soup. The O’Grady Quinlan Irish step dancers will be on hand performing, and several vendors will be set up throughout the venue. The Cow & the Curd cheese curd truck, an absolute favorite of ours from Musikfest last year, will be set up outside. Tickets for the festival are $35 in advance for 4pm to 7pm or $45 for VIP tickets that include an extra hour from 3pm to 7pm. Tickets the day of the festival will be $40 and designated driver tickets are available for $15 which include admission, food, entertainment, and non-alcoholic beverages. You can purchase tickets here.